Time travel, teleportation, lightsabres all true, innit? In the BBC series How TV Ruined Your Life, one-time games reviewer Charlie Brooker talks at length about the British public literally believing what is seen on their screens. This has now been confirmed with some investigative numberwang which shows that a large percentage of Brits are convinced fictional technology from lightsabres to hoverboards to time machines actually exist. According to research from Birmingham Science City, a fifth of us assume Jedi weapons are more than just special effects in a George Lucas film. We're not talking about the Star Wars Force FX range, either. People genuinely reckon the real thing is out there. A third believe time travel is possible. Now. Almost a quarter of us believe teleportation can be achieved. Yes, disassembling our bodily parts to have them reconstructed in a new place, all without dying in the process. FACT. 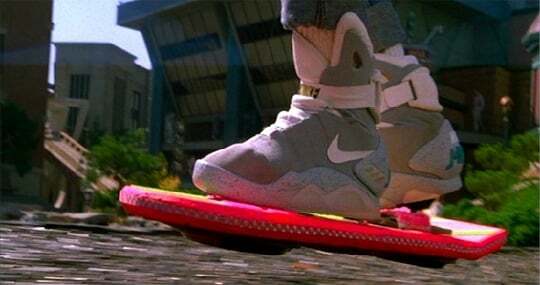 Half of us are convinced memory-erasing technology, such as the kit used in Men in Black is available, while only a slightly smaller percentage of UK adults regard Back to the Future II-style hoverboards as real tech too. I wonder how many believe a DeLorean can actually take them back in time?